Please visit our Elmhurst Showroom and see the LARGEST display of pool tables in Chicagoland… All Sizes… All finishes… All varieties of cabinet and leg designs. For over 25 years we at Cue-N-Cushion have represented Olhausen Billiards, the largest pool table manufacturer in the country. Their many designs, finishes, and options guarantee you a billiard table that’s a beautiful piece of furniture. Their Accu-Fast Cushions also guarantee you a billiard table with great playability and a lifetime of fun! 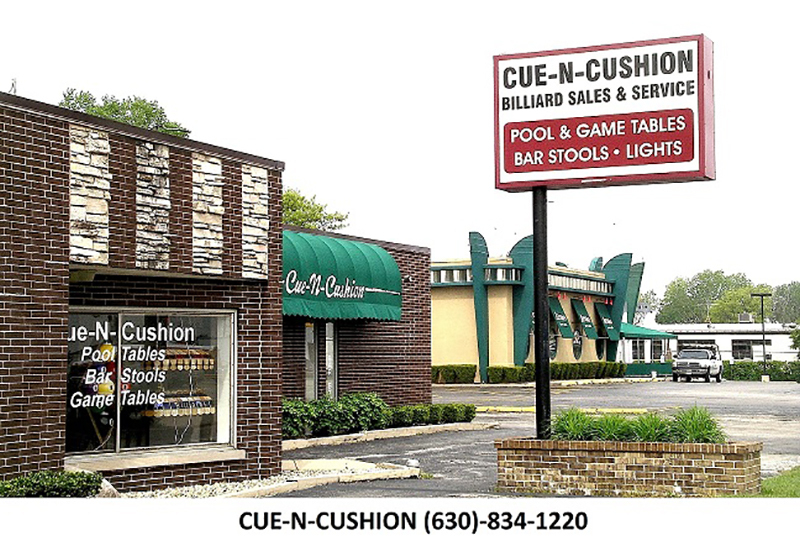 Cue-N-Cushion also specializes in servicing your pool table needs and repairs: moves and recovers … Our showroom also features bar stools, poker tables, billiard lights and pub tables! We hope to see you soon… Thank you for visiting our website!